Ahh, if March is here can Spring be far behind? I know, you can never tell here in the North, where we’ve been known to have April blizzards. Things are looking up for the weekend, with forecasts in the 40s, so you can take advantage of the fertile musical offerings to be found this week: a couple of shows that might be called nostalgic; some visiting jazzers that will awe and inspire you; African and Jamaican superstars; and resident artists who are rich in talent. 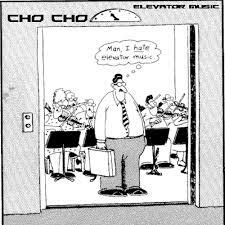 Music lifts the spirit, although Gary Larson’s cartoon might indicate at least one instance where that doesn’t happen. Pedrito Martinez Group @ The Dakota, Minneapolis. 7pm ($27), 9pm ($17) If you didn’t catch conguero/percussionist Pedrito Martinez June you missed a virtuoso display of Afro-Cuban music. Since arriving in North America in 1998, Martinez has established himself as both a bandleader and an important sideman, playing complex rhythms for such artists as Eddie Palmieri, Bebo Valdes, Bruce Springsteen, Cassandra Wilson, Joe Lovano, and Sting, among others. He was recently featured as one of the “80 Coolest Things in Jazz Today” in Downbeat’s 80th anniversary issue. Chomsky & Thomas Nordlund Quintet @ Jazz Central, Minneapolis. 8:30pm ($10 Suggested Donation) It’s New Music Night at Jazz Central, and they’ve a double bill for jazz fans. Andrew Foreman’s group Chomsky will start things off. Besides Foreman on bass, the group includes Jake Baldwin, trumpet; Thomas Nordlund, guitar; and Zach Schmidt, drums. Then Nordlund switches instruments, to a Baritone guitar; and is joined by Ben Abrahamson, guitars; Kevin Gastonguay, keys; Foreman on bass; and Lars-Erik Larson on drums. Together they’ll play new music from Nordlund’s upcoming EP of baritone guitar. Here is one of his originals. Douglas Ewart @ The Walker Art Center, Minneapolis. 6pm (Free) Ewart is a multi-instrumentalist, composer, improviser, and maker of both masks and instruments. He plays a variety of reed and percussion instruments, as well as the digideroo, and has collaborated with The Art Ensemble of Chicago, Yusef Lateef, Cecil Taylor, and many Chicago heavyweights. HIs appearance is part of the Walker’s Sound Horizon series, exploring the spaces between sound and visual art. Travis Anderson Trio @ The Dakota, Minneapolis. 7pm (No Cover) It’s Foodie Night at the Dakota, with some swingin’ music to boot, brought to you by Travis Anderson, piano; Steve Pikal, bass; and Nathan Norman, drums. Katia Cardenas @ Jazz Central, Minneapolis. 7:30pm ($10 Suggested Donation) Cardenas is a talented jazz & R&B singer, who has been showing up a various venues around town of late, including the Dakota, the Nicollet Cafe, Honey, and Bedlam Lowertown. She has an expressive voice, and is wise enough to reveal her power in small portions. Tonight she’ll be singing the songs of Ella Fitzgerald. Merciless Ghost @ Khyber Pass Cafe, Saint Paul. 9:30pm ($5) George Cartwright is an adventurous explorer of saxophonic sounds, and tonight he is joined by Josh Granowski, bass; and drummer/percussionist Davu Seru. Magraw/Gravatt @ the Nicollet, Minneapolis. 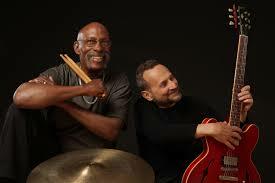 8pm ($20/reserved seats, No Cover, General Admission) Guitarist Magraw and drummer Eric Kamau Gravatt have a natural ability to communicate on a deeply personal musical level. 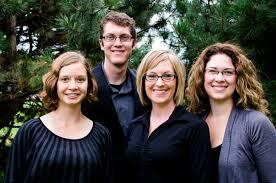 Their recent CD on Red House Records, has been well received nationally as well as regionally. Reserved seating, available here guarantees a table near the stage, and is recommended. Raisin’ Cane: A Harlem Renaissance Odyssey @ The O’Shaughnessy, Saint Paul. 7:30pm. ($25 – $55) This is a multi-media show about the literary and artistic blossoming of Harlem in the years after WWI, featuring actor/songstress Jasmine Guy & the Avery Sharpe Trio. Sharpe was the bassist for the McCoy Tyner Trio for 18 years, recording 10 albums with Tyner, and has released seven albums as a leader. There’s an interview with Guy in Tuesdays Star Tribune. Here’s a bit of a preview. JT Bates B3 Organ Trio @ Jazz Central, Minneapolis. 7:30pm ($10 Suggested Donation) Kevin Gastonguey, B3 Organ; Zacc Harris, guitar; JT Bates, drums. Oooh, things in the basement will get down and greasy with some B3 jazz from excellent musicians. DD7 & Charlie Lincoln Group @ The Black Dog Coffee and Wine Bar, Saint Paul. 7pm ($5 – $20 Suggested Donation) It’s an evening of young whippersnappers at 7pm, and seasoned veterans at 98:3-0pm. Bassist Charlie Lincoln is still in high school. He’s a member of the Dakota Combo and has been musically growing by leaps and bounds in the last year or so. His group includes Aiden Sponheim, trumpet; and Peter Goggin, alto; (both also in this year’s Dakota Combo) and Levi Schwartzberg, piano (of last year’s Dakota Combo). At 8:30 the “oldsters” of DD7 will perform. They are Anthony Cox, bass; Brandon Wozniak, sax; Mike Lewis, sax; Steve Kenny Flumpet; JT Bates, drums. David Sanchez Quartet @ The Dakota, Minneapolis. 7pm ($30), 9pm ($20) The Grammy-winning and five-time nominee is a tenor saxophonist from Puerto Rico with a rich sound. 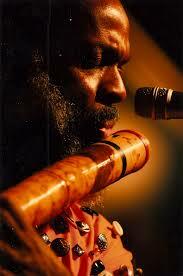 He worked with Dizzy Gillespie for a number of years, as well as Charlie Haden, Eddie Palmieri, and others. Sanchez’s latest project, Baboula, follows the evolution of various West African and Caribbean rhythms to their use in the music of New Orleans and modern jazz. Joan Griffith @ Jazz Central, Minneapolis. 8:30pm ($10 Suggested Donation) Griffith is a bassist/guitarist who is particularly adept at Brazilian rhythms. Griffith has recorded with Prudence Johnson, Laura Caviani, and Lucia Newell, and is director of the Macalester College Big Band. Cassandra Wilson @ The Dakota, Minneapolis. 7pm ($40 – $60) It can easily be argued that Cassandra Wilson’s wholly fresh take on vocal jazz has changed the music. She has taken standards, folk songs, pop songs, and Delta Blues to new places by changing tempos, the way words are emphasized, and, from time to time, the utilization of unexpected instruments. She’s now touring behind a new album that’s an homage to Billie Holiday, another singer who changed the public’s perception of jazz singing. Jaybone Bell and Restless Light on KFAI and @ The 331 Club, Minneapolis. 5pm (90.3 & 106.7FM), 7pm (331 Club – Tip Jar) High energy, melodic roots rock & bluegrass from Winona. Jason Ziebell (Jaybone) is the chief writer. He’s joined by jazz masters Kelly Blau on electric guitar & mandolin and Jase Ginkel on bass & harmonica, along with Steve Jones, drums; and Isaac Sammis, banjo. The Wailers @ First Avenue, Minneapolis. 9pm ($20) What more can be said about these reggae veterans who backed Bob Marley? They’ve sold over 250 million records worldwide, and though their charismatic leader died years ago, they carry on, led by bassist Aston, “Family Man” Barrett, who played with Lee Perry’s Upsetters before joining Marley in 1969. Records and beer for an early Thursday evening. 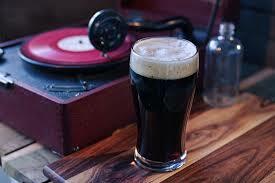 The Return of Vinyl Tap @ Tin Whiskers Brewing Tap Room, 125 East 9th St., Saint Paul. 7pm – 9pm (Free) I usually leave my own spinning gigs to the sidebar, but this one deserves a bit more attention. Vinyl Tap is the gig where I ask the audience to play name that tune about every 20 minutes or so. Winners get a prize (hint, it’s a tap room). I had been doing this at the Amsterdam until about a year ago, and so I’m happy to be able to do this at downtown Saint Paul’s brewery. Jake Manders CD Release @ Patrick’s Cabaret, Minneapolis. 7pm ($10) Manders has a voice that sounds both weary and hopeful, which is just right for his easygoing, rootsy music. He’s celebrating a new CD, Acoustic Frequency, on which Greta Hunstiger provides substantial violin, nicely goosing along the faster numbers, and Daryn Chrystensen plays piano and percussion. The first fifty to pay at the door will get a copy. Barron, of Farewell Milwaukee, will open, with DJs David & Laura from Hymie’s providing additional music. Here’s a song on the CD. Janie Miller and the Square Roots @ Harriet Brewing Tap Room, Minneapolis. 7pm ($6) Janie Miller is well known for her Patsy Cline shows. She sometimes shows up at Bobby Eckstrand gigs, to share her voice which is just about perfect for singing other country songs. Square Roots with special guest harmonica ace Curtis Blake, open at 7pm. Caprice Saxophone Quartet: Undercurrents @ Studio Z, Saint Paul. 7:30pm ($10) Four saxophone players performing miminalist music by Reich, Torke, Labodie, and Rosenhaus, with drummer Steve Horey joining them for an arrangement of Paranoid Android, by Radiohead. Hugh Masekela & Vusi Mahlasela @ the Ordway, Saint Paul. 7:00pm ($20 – $47) Oh boy! the Ordway is having a host of cool events during March. This one celebrates the music of South Africa. Masekela is the trumpeter who hit the top 40 back in the 60s with Grazin’ in the Grass. His live shows are joyful affairs, with hip-swinging rhythms and songs that mine both traditional and urban African themes. Vusi Mahlasela has a gentle, gorgeous voice, at times reminiscent of Sam Cooke both in its timbre, and in the way he uses it to inspire hope. This show celebrates the 20th anniversary of the end of Apartheid. Here’s a video of Mahlasela. Silvertones @ The Schooner Tavern, Minneapolis. 9pm. (No Cover) When you want to dance to the music of the 60s, this is the band to call upon. This isn’t a band that slavishly plays note-for-note recreations of the hits: these are obviously and utterly devoted to the songs, but more importantly, they have fun. Ricky Nelson Remembered @ The Dakota, Minneapolis. 6pm ($35), 8pm ($30) Rick Nelson became a Teen Idol and rock n’ roller in large part because he was featured on his parent’s show, Ozzie and Harriet every week. But give him his props, he had a good ear, recognized good tunes, and was able to hire James Burton as his guitarist. He sold over 130 million records, an as he aged he was able to keep his cred, creating country rock (with Bernie Leadon, who would later join the Eagles) before anyone else, and releasing a very good late album of rockers by John Fogerty, Graham Parker, and John Hiatt, among others. His sons Andrew and Gunnar had their own number one hit in 1990 as NELSON giving the family three generations with number one records (Ozzie led a big band before the TV show). Here’s a preview of the program. George Kahumoku Jr, with Da “Ukulele Boyz @ The Cedar Cultural Center, Minneapolis. 7pm ($25) Some music from Hawaii to help you forget winter. Kahumoku is a slack key guitarist who is has won multiple Grammys and hosts a weekly show of slack key guitar in Maui. Da Ukulele Boyz are a duo whose relaxed approach on stage belies their talent on ukelele. British Invasion 50th Anniversary Tour @ Pantages Theatre, Minneapoli. 7pm ($48.50 – $58.50) For folks of a certain age, and fans of pure pop, this is a cornucopia of talent. Peter Asher, of Peter and Gordon, will serve as host/emcee. He should do a dandy job of it, based on his storytelling/singing at the Dakota during his last two visits. Denny Laine served as a member of both the Moody Blues and Paul McCartney’s Wings, Chad & Jeremy, with their folk-rock harmonies, had 6 or 7 Top 40 songs here in the US, while Billy J. Kramer had about 5 entries, Mike Pender of The Searchers was their lead singer for a number of hits. Terry Sylvester replaced Graham Nash in the Hollies and was with them during their heyday, and also sang in the Swinging Blue Jeans. Courtney Yasminah @ The Amsterdam Bar & Hall, Saint Paul. 9pm (Free) The former Wayzata housewife who eschewed that life for one of a rockin’ singer/songwriter has now moved to NYC and is contemplating her tenth tour of Europe. Yasminah’s latest album, Red Letter Day,” is receiving high praise for its exuberance, songwriting, and general rockitude. This entry was posted on Wednesday, March 4th, 2015 at 11:21 am and is filed under Weekly Preview. You can follow any responses to this entry through the RSS 2.0 feed. You can leave a response, or trackback from your own site.